Are you about to leap into Facebook marketing head first? Then we’re glad you’re here, because we have some handy tips you might want to consider. 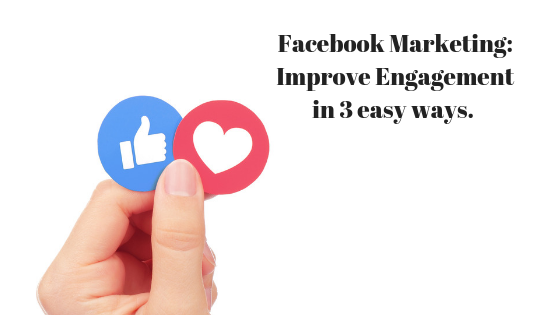 Keen to make an impression on your Facebook market? Let’s take a closer look. Facebook is well known as the worlds most popular social network platform. With over 2 billion members all ripe for the picking when it comes to your product, you could be forgiven for thinking Facebook to be the only place anyone would want to sell. So just how good is Facebook Marketing and how can you jump on the sweet Facebook gravy train? Let’s look at some of the most effective strategies for getting the best out of the FB platform. The first law of Facebook marketing- and any marketing really is to understand your market. This is the bottom line and it should never, ever be overlooked, skipped past or forgotten. If you’ve forgotten what your fans are looking for, you’ve thrown the baby out with the bathwater. That’s it. For the most part, this priority needs to remain static because once you capture attention, it shows in the form of likes, shares and comments. All of these build engagements, and grow authenticity, but only when done correctly. PS: If you’re thinking of faking engagement, think twice: Like farming buys trouble, generally speaking- and it’s off putting- tread with extreme caution! Being stuck for content is no fun at all. That’s where trending topics can come in handy for Facebook marketers. Consider how your product or service would translate in reference to a trending topic. How can you make it about what you sell? Once you get the hang of it, its easier than ever to see how interlinking current trends with your brand to make it hyper relevant can help you gain some serious traction.